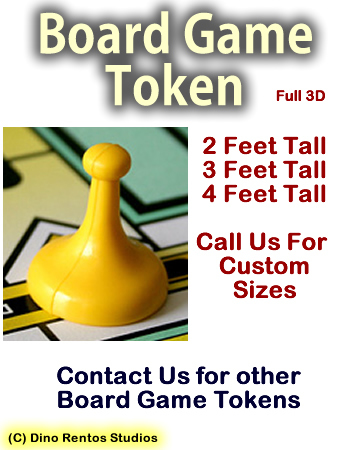 Board Game Token Foam Prop - Dino Rentos Studios, INC. This board fame token prop is great for your Candylane/Chocolate Factory display, or for any team building corporate events. 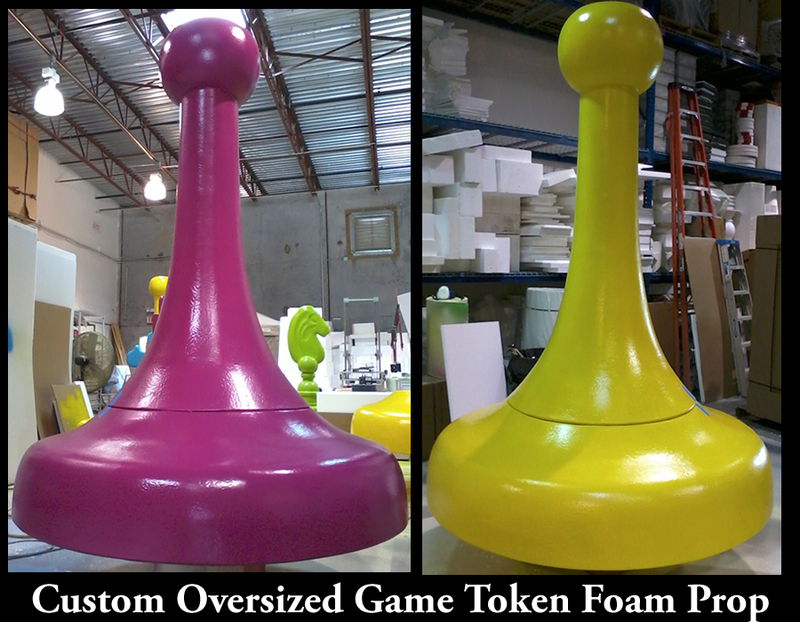 General board game token, painted the color of your choice. Select color below. Contact us for custom shapes and sizes.